Are You For Or Against Legalizing Medical Marihuana? The finger puppet’s name is Señor Dedo Politico (Mr. Political Finger). I created him to give a different view to politics. I have many friends that hear me speak about politics and find it absolutely boring. They tell me that they don’t like politics, they are immune to it, and sadly enough, they are the ones who also don’t vote when they are U.S. citizens and could. I want to captivate them and make politics fun. I want to remind those that dislike politics that voting allows you to have a voice. 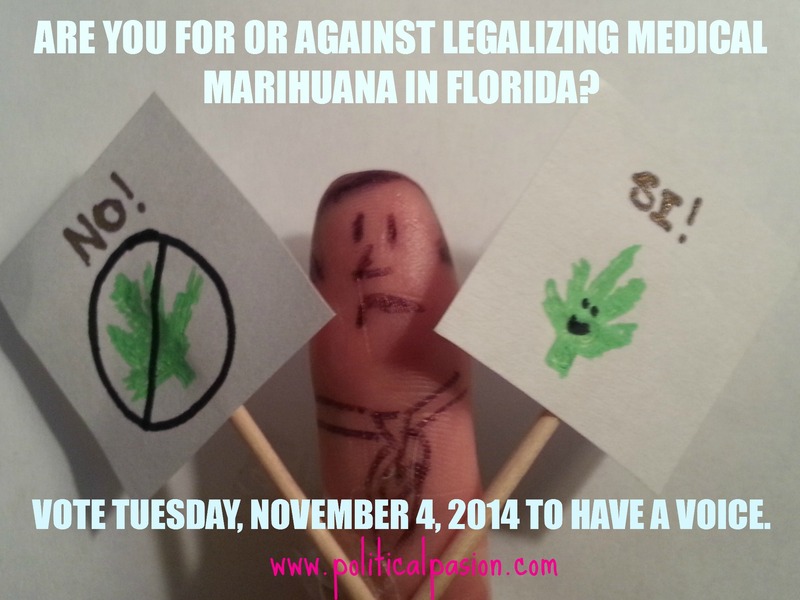 The choice to legalize or not medical marihuana will be on the Florida voting ballot this upcoming General Election. This is my way of saying to those that do not vote that politics matters and we can have a say in it.